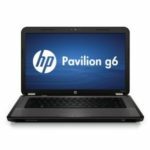 HP Pavilion g6-1c58dx is 15.6-inch laptop outfitted with an AMD Quad-Core A6-3400M Accelerated Processor, 4GB DDR3 SDRAM, and 500GB hard drive (5400 rpm). 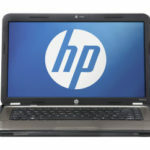 The laptop highlights a 15.6″ LED-backlit high-definition widescreen display at 1366 x 768 resolution, and AMD Radeon HD 6520G discrete-class graphics. 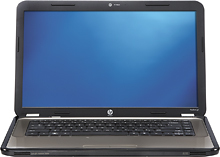 The HP Pavilion g6-1c58dx laptop also comes with Built-in webcam with microphone, Multiformat DVD±RW/CD-RW drive, Multiformat media reader, 802.11b/g/n WiFi, and 6-cell lithium-ion battery. The laptop is running on Windows 7 Home Premium Edition 64-bit operating system. Needless to say, such a configuration is good enough for our daily use, people are very satisfied with it. Of course, the HP Pavilion g6-1c58dx has become a hot selling laptop on Best Buy, more and more people are crazy about it, so I think I'd better introduce it to you guys today. 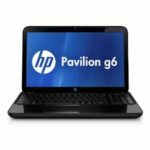 As a high-configured 15.6″ HP laptop, the Pavilion g6-1c58dx is ideal for watching movies and playing games, you'll enjoy wonderful experience with it. The 15.6″ LED-backlit high-definition widescreen display with BrightView technology and 1366 x 768 resolution showcases movies and games in stunning clarity. The AMD Radeon HD 6520G discrete-class graphics feature up to 2037MB total video memory for lush images. You also have HDMI output for connection to an HDTV. 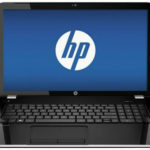 So I believe you guys will love this HP g6 laptop too. As to price, Best Buy now promoting this laptop for as low as $399.99 with free shipping. 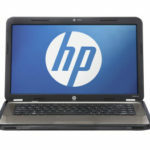 So what do you think about the HP Pavilion g6-1c58dx 15.6-Inch Laptop?